The American Association of University Women promotes equity for all women and girls, lifelong education, and positive societal change. In principle and in practice, AAUW values and seeks a diverse membership. There shall be no barriers to full participation in this organization on the basis of gender, race, creed, age, sexual orientation, national origin, disability, or class. We would love to hear from you! Please contact AAUW-Davis at Davis-CA@aauw.net with any comments/questions or for information about membership or donations. This entry was posted in AAUW-Davis on January 1, 2019 by Julie. In support of Teck Trek Science and Math Camp for Girls and Other Projects, we held a raffle drawing on April 8, 2019. 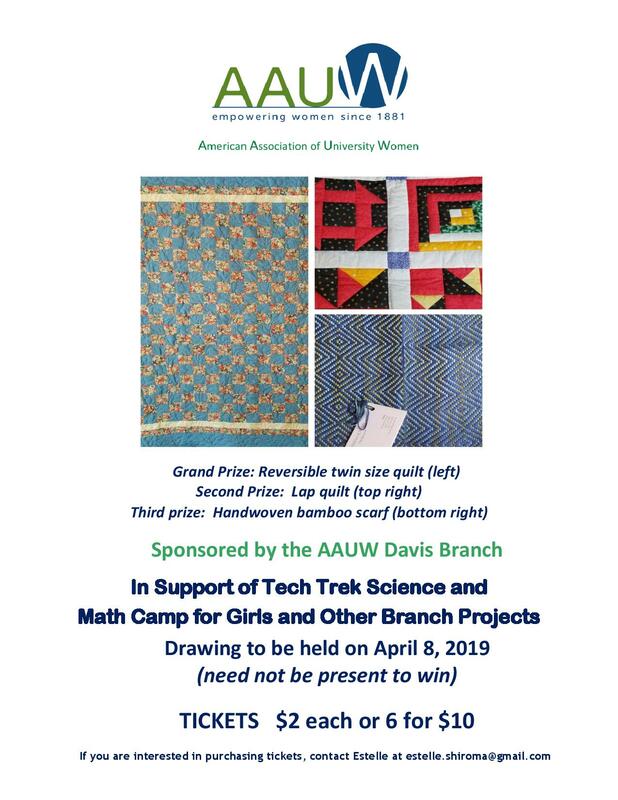 AAUW Tech Trek is a one-week summer camp guided towards helping girls envision their future in STEM fields by making them exciting and accessible. The prizes included a reversible twin size quilt, a lap quilt, and a handwoven bamboo scarf! Thank you to those who bought a ticket! Topics: Climate Negotiations, Country Climate Actions, and Grassroots Initiatives. 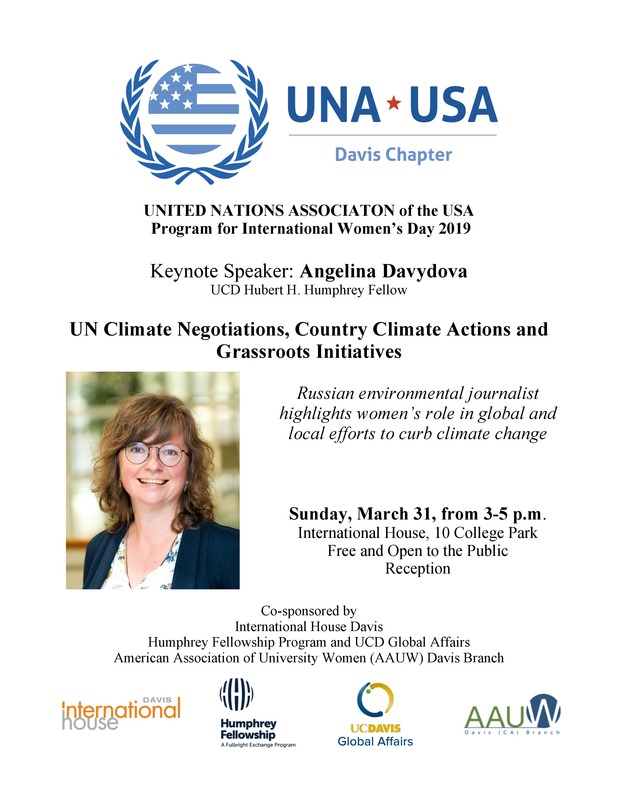 Angelina Davydova, is a Russian environmental journalist. She will highlight women’s role in global and local efforts to curb climate change! This entry was posted in AAUW-Davis on February 16, 2019 by Julie.